This little microphone is great to use on Drums, pianos, wind instruments and more. 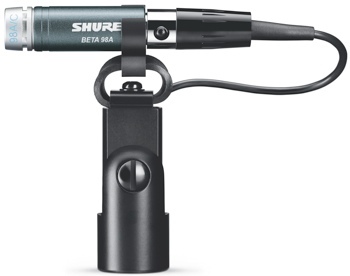 Great for tight spots and has big mic sound in a little package. Comes with a shockmount swivel adapter which makes for easy mounting on any standard mic stand. It retails for around $200. For more info visit Shure Microphones here. Artists and bands submit your best songs to these radio networks. 2 large radio networks. Submit music on the site.